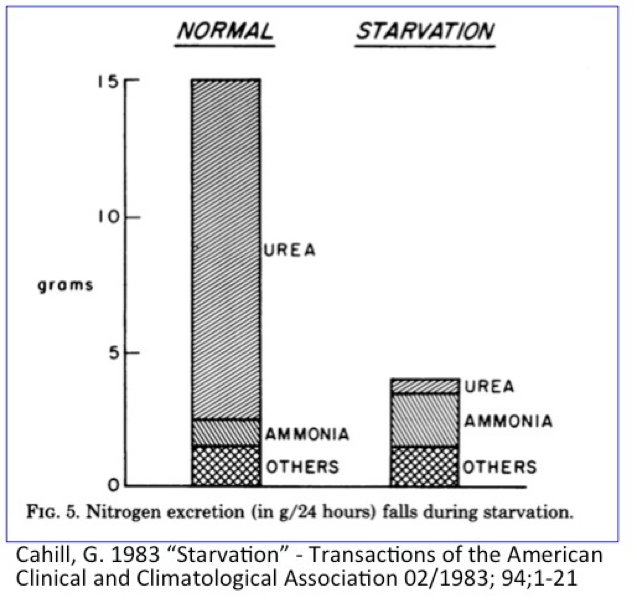 Involuntary periodic starvation or its voluntary counterpart, fasting have been part of human nature since the beginning of time. Until relatively recently, food was not always available. To survive, early humans needed to store food energy as body fat to survive the hard times. If we did not have an efficient storage and retrieval method of food energy, we would have died long ago. Contrary to many people’s expectations, fasting, even for prolonged periods of time does not cause the body to shut down, but rather to ramp up and get ready for action. This is due to the energizing effect of these counter-regulatory hormones. 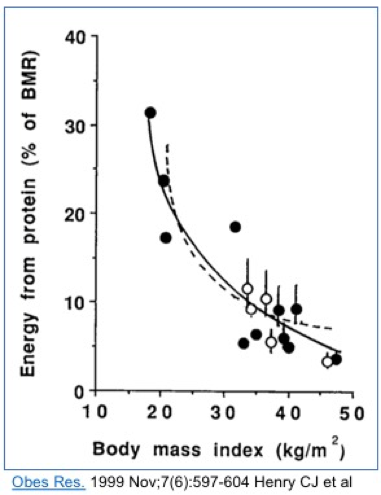 Even up to 4 days of fasting results in an increase in resting energy expenditure (or basal metabolic rate). This is the energy used for generating body heat, by the brain, heart, liver, kidneys and other organs. When measuring the energy used for metabolism, studies show that after 4 days of fasting the body is using 10% moreenergy than at the beginning of the fasting period. Most people mistakenly believe that the body shuts down during fasting, but the opposite is true. Fasting does not make people tired, it gives them more energy. Under conditions of fasting, the body has several priorities. The first priority is to maintain sufficient glucose for normal brain functioning. Glucose requirements are substantially lowered as the liver and muscles switch to fatty acids, and the brain switches to ketones. Some of the glycerol from fatty acids are able to be converted to glucose, but there is a limited amount. The rest must be delivered by gluconeogenesis, so there is still a small amount of protein breakdown. However, this protein is not specifically muscle cells. Instead, the proteins that turn over the most rapidly are the first proteins to be catabolized for glucose. This includes the skin and intestinal lining. In over 5 years at my Intensive Dietary Management program (www.IDMprogram.com), which uses therapeutic fasting for weight loss, he has not yet referred a patient for skin removal surgery despite patients losing over a hundred pounds. Immune cells also have a high turnover, and may be reduced, accounting for some of the anti-inflammatory effect seen clinically. Muscle cells, which turn over infrequently, are relatively spared. Overall, protein catabolism drops from approximately 75 g/day to only 10-20 grams per day. 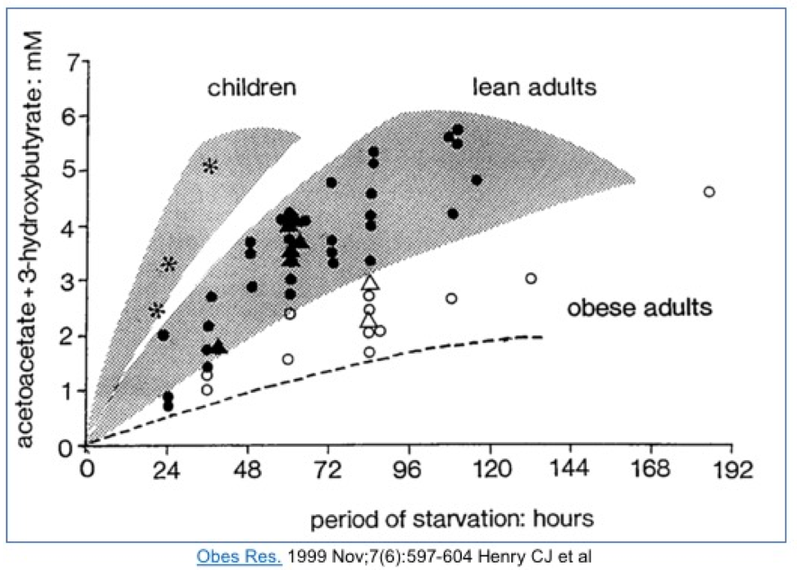 This preserves protein during prolonged starvation. More importantly, many age related diseases are characterized by excessive growth, not just of fat, but also protein. Alzheimers’ disease, for example is characterized by the excessive accumulation of protein in the brain that blocks proper signaling. Cancer is excessive growth of many things, but including many types of proteins. Thank you for explaining the normal fasting process! My question is, how can it become abnormal in some people? 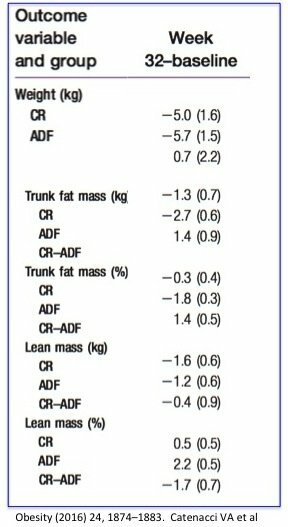 People in my family who still have high blood sugars after many extended fasts, when glycogen is long gone? Great discussion. Several typos (missing spaces and 2-3 is repeated towards the end. Why do I have less energy and feel like I am starving after 24 hours of an extended water fast? Thanks for this article! Is there any adverse effect on the adrenal gland if we are doing daily shorter fasts 16-18 hrs?